Are you looking for some inspiration in the kitchen? Looking for some food prep or units to do in the classroom or for homeschooling? 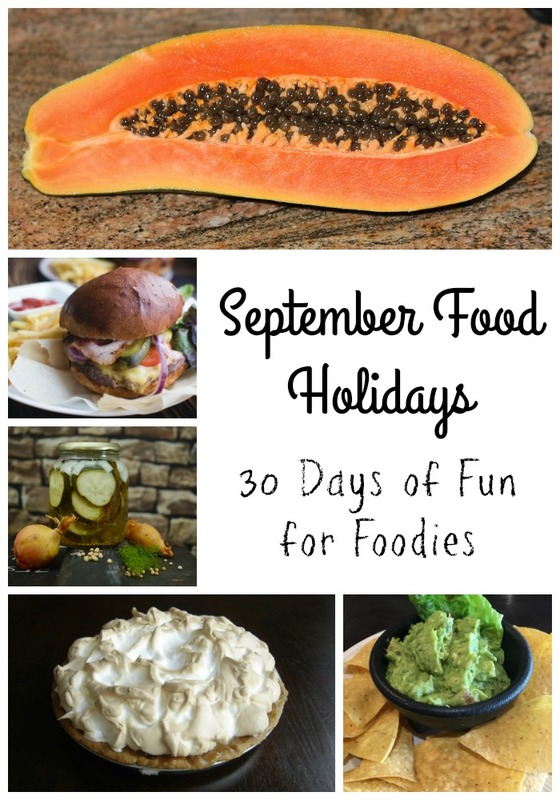 I have collected the September food holiday observances from around the web to give you some inspiration. If I have a particular collection put together, it is already linked, with more to come. Please share some of your favorite recipe collections in the comments! Also be sure to check out my Pinterest boards of Recipes to Try and Montessori Food Prep Activities for even more ideas. September is Better Breakfast Month. Who isn’t always in search of a tasty new breakfast idea? A couple of my favorites I have shared in the past include Pound Cake French Toast and the Maple Bacon Donut. And of course, a fancy breakfast just isn’t the same without mimosas. I love mimosas. It’s also Honey Month. Honey has so many uses and is so good for you. Same with papaya, as it is National Papaya Month. September is also National Chicken Month, which makes me happy, because I love chicken. And then you have to have the accompanying mashed potatoes, because it is National Potato Month. And I guess if potatoes aren’t your thing, then you can just enjoy National Rice Month. And then you can add in your Whole Grains Month celebrations and top it all off with National Mushroom Month. Harvest season means an abundance of fruits and vegetables, so of course we celebrate Fruits and Veggies: More Matters. Keep your focus on health with Family Meals Month, Hunger Action Month, National Food Safety Month, Food Allergy Awareness Month, and Childhood Obesity Month observances. Finally, it is National Blueberry Popsicle Month. Did you know that was even a thing? There are all kinds of recipes out there. Check out the post I did over at My Crafty Life for 20 of them. First Week in September – Celebrate National Waffle Week! Because it’s also chicken month, you should check out my favorite Chicken and Waffles. Second Week in September – It’s Biscuit and Gravy Week and Vegetarian Awareness Week. 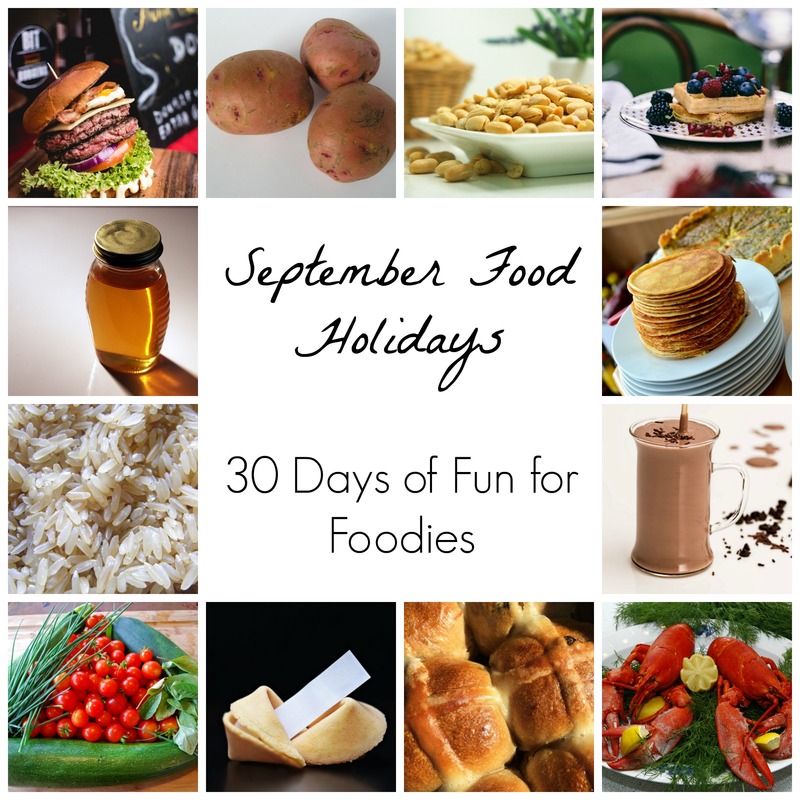 You can find at least one food to celebrate each day in September. Which ones are you looking forward to? September 10 – National Hot Dog Day – Try traditional Ballpark Hot Dogs with Grilled Onions and Peppers. Or for something different, go for Hot Dog Stuffed Pitas. September 16 – National Guacamole Day – Looking for a lighter version of this tasty treat? This Light Guacamole Dip mixes it with cottage cheese for a different flavor and fewer calories. Or try a new flavor with Mango Guacamole. September 29 – National Mocha Day – How about a Cinnamon-Spiced Hot Mocha? So which holidays are you looking forward to celebrating the most this September? Let us know in the comments below!